Overlooking the village is the intriguing Stanfield's Tower built around 1890. A local grocer Jonathan Stansfield was purported to have built this circular rough stone tower to provide himself with a fine view over Ribblesdale from the top, but the height fell somewhat short. Below is the popular picnic spot of the Watermeetings. A Bronze Age axe believed to be 3,500 years old, was found near the tower in 1952 by a local man. 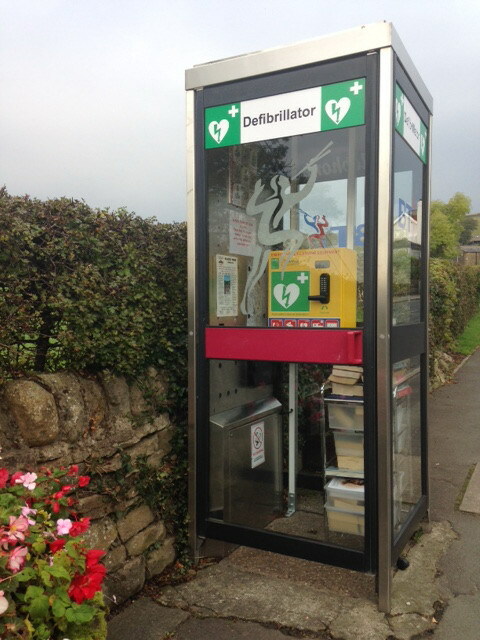 Blacko is set on a hill overlooking Pendle Water. Although we are in the heart of the countryside, we are conveniently situated approximately 4 miles from the M65. The Dales, Witch and Bronte country and of course the seaside are all within easy reach. There are pubs and restaurants nearby, beautiful walks and mill shopping with Boundary Mill being just 5 miles away. For walkers and cyclists we have secure wet weather gear storage available. We will also collect you from the train or bus station if necessary. Looking for peace and relaxation - come and meet our friendly Shire horses, enjoy our tranquil location alongside this pretty stretch of Leeds/Liverpool Canal. Our 250 yr. old farmhouse is surrounded by lovely walks, being close to the Pendle Way, nestling alongside the Leeds/Liverpool Canal, 1 mile from Pendle Heritage Centre, yet is only 5 minutes from Jct.13 off M65. 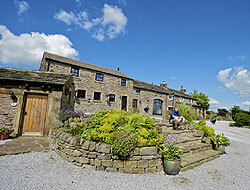 The farm provides an ideal base for visiting Pendle Witch Country, Haworth, Yorkshire Dales and the Lake District, approx. 1 hour from Manchester Airport. Ideally placed for visiting the excellent local Mill Shops, and providing a peaceful haven for business people wanting to unwind after a stressful day. 1 Twin En-Suite/1 Twin/1 Single with Shower - spacious and beautifully furnished, offering every comfort for our guests. The Rising Sun is a proper unspoilt village community local and still serves Stew ‘n’ Hard, Pie & Peas as well as Bar Meals and snacks daily. 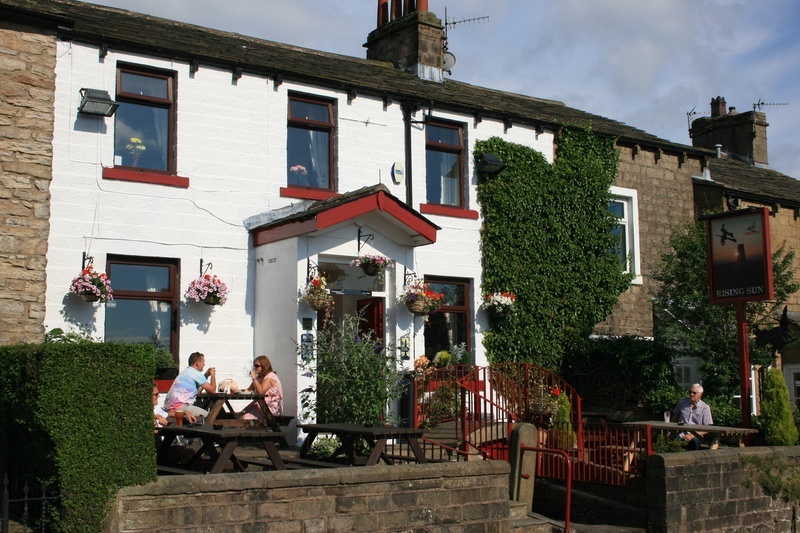 The pub is one of only six owned by Moorhouse’s Burnley brewery and serves their award winning ales together with guest beers at weekends and is listed in the 2011 Good Beer Guide. The pub retains a traditional taproom where darts is played, a parlour, which can be booked for small functions, and a small patio area to the front with views across to Pendle Hill.